Mature, old-growth forests in the Pacific Northwest provide critical habitat for threatened and endangered species, including the northern spotted owl and marbled murrelet. Dominated by large Douglas-firs and western hemlocks, these established forests range in age from 200 to 1,000 years old. Yet wildfire activity is increasing across western North America, heightening concerns about severe fires that have the potential to kill the upper canopy layer of forests. Known as “stand-replacing fires”, these extreme events have important implications for forest ecosystems, initiating forest regrowth and altering habitat for wildlife. Identifying locations that are protected from stand-replacing fire is an urgent management priority, particularly given projections of more extreme fires as climate conditions change. These “fire refugia” – places that remain unburned or experience minimal tree mortality compared to the surrounding landscape – can be key to biodiversity conservation and adaptation. 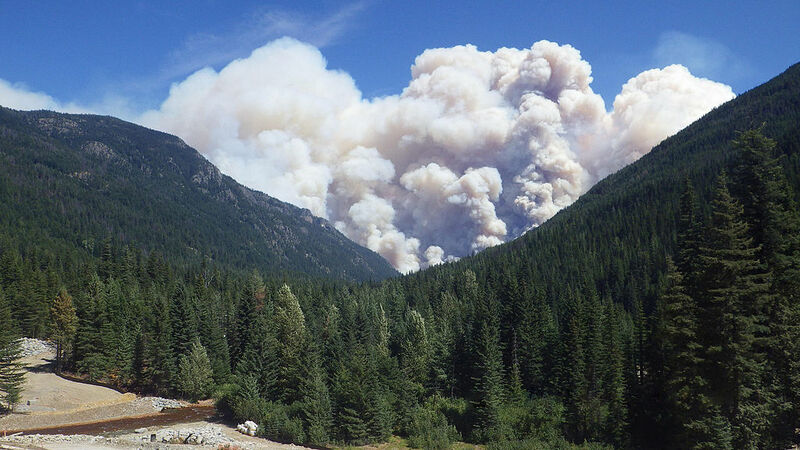 Despite concerns about increasing fire severity, mapping of fire refugia and stand-replacing fire has not been completed for old-growth forests in the Pacific Northwest, hindering conservation planning for threatened and endangered species. To address this need, researchers will map the probability of fire refugia and stand-replacing fire, based on topographic conditions, fire weather, fuel loads, and climate. They will then use this information to assess the likely future occurrence of old-growth, fire-resistant forests and young, post-fire forests in the Pacific Northwest under increasingly extreme fire weather. These maps will provide estimates of where old-growth forests are likely to persist, and where they are more susceptible to be lost to stand-replacing fires, supporting managers who are revising forest plans, implementing habitat conservation plans, and designing forest reserve networks in the region. Maps of likely refugia and stand-replacing fire also will help federal and state agencies, tribes, and non-governmental organizations identify locations for barred owl management, early-successional vegetation conservation, and sustainable forest management activities.